When the federal government implemented new school-meal regulations in 2012, a majority of elementary-school students complained about the healthier lunches, but by the end of the school year most found the food agreeable, according to survey results released Monday. The peer-reviewed study comes amid concerns that the regulations led schools to throw away more uneaten food and prompted some students to drop out of meal programs. Researchers at the University of Illinois at Chicago surveyed administrators at more than 500 primary schools about student reaction to the new meals in the 2012-2013 school year. 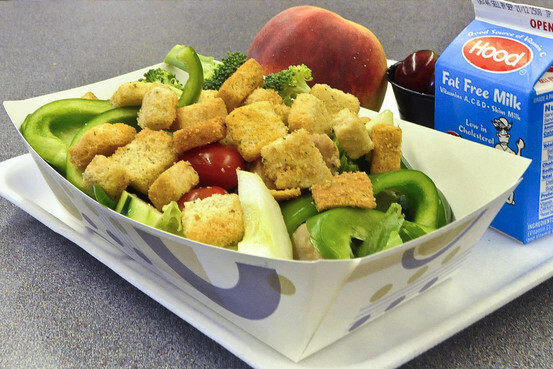 They found that 70% agreed or strongly agreed that students, by the end of the school year, generally liked the new lunches, which feature more whole grains, vegetables and fruits, and lower fat levels. "We feel like these data support the new meals and show that although change can be slow, there have not been as many student complaints as thought to be," said Lindsey Turner, the lead author of the study, which will be published in the journal Childhood Obesity. The research was supported by a national group called Bridging the Gap that studies policies that improve health and was funded by the Robert Wood Johnson Foundation, which backs public-health initiatives. In another study, published in the American Journal of Preventive Medicine this past spring, researchers found that students were eating more fruits and vegetables under the new guidelines. The school-meal standards have been contentious. Some Republicans criticized their calorie limits—the first time the government had imposed such a mandate on school meals—and in 2012 introduced legislation in the House to repeal the requirements. The standards also spurred student-led lunch boycotts in some districts. Participation in the school-meal program has declined in recent years, fueling questions about the regulations' impact.